Bishop Dreyfus C. Smith, is the Senior Pastor of Wings of Faith Worldwide Ministries in Conley, Georgia. This great visionary founded Wings of Faith Ministries in June 1989, in metropolitan Atlanta, Georgia. Having the “Faith to Follow” the voice of God, Bishop Smith started with 75 members 27 years ago; members who believed that God had shown favor on “The Man and The Mission”. With overwhelming growth, our membership consists of over 7,000 souls, both young and old, averaging 2,000 in worship each Sunday morning. Bishop Smith has tirelessly ministered the gospel for over 30 years. He was licensed in 1986 at Springfield Baptist Church, and ordained in 1987 at Jackson Memorial Baptist Church, where he served as Associate Pastor, under his spiritual father, Dr. Gregory L. Sutton. Later Bishop Smith was called to Pastor New Canaan Baptist Church in Atlanta, Georgia, where he served until 1989. Since his pastorate at Wings of Faith Worldwide Ministries, he has installed 28 Elders, ordained 80 Ministers, and licensed more than 126 Associate Ministers, preparing them to serve the Kingdom of God. As a Spiritual Father to many, Bishop Smith has both Sons and Daughters that are Founders of their own ministries or have been called to pastor in various cities across the United States. In June 2005, Pastor Smith was elevated to the Office of Bishop, under the leadership of Bishop Victor T. Curry of Elijah’s Mantle Apostolic Covering Fellowship. Bishop Smith received an Honorary Doctorate of Divinity from Freedom Bible College & Seminary; and Masters of Divinity from St. Thomas Seminary. His undergraduate studies include a Bachelors of Science in Theology. He is extremely knowledgeable of and continues to study the languages of Greek and Hebrew. A native of Atlanta, Bishop Smith is revered locally, nationally and internationally for his distinctive style of delivering the Word of God, and noted as being a humble and faithful servant with profound, yet remarkable life changing messages. As he travels from coast to coast, his global message is one that focuses on encouraging, equipping and empowering the body of Christ with great integrity and compassion. 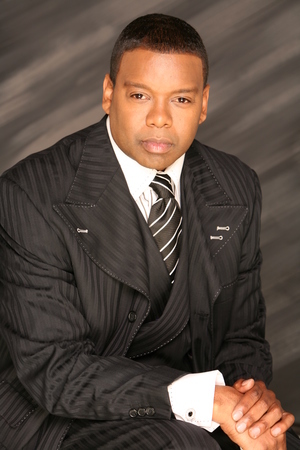 Bishop Smith has received numerous honors and recognition’s including being awarded the 2007 Ambassador of Christian Excellence. At the request of many notable dignitaries and other elite government officials (including the President of the United States) Bishop Smith and the Wings of Faith Mass Choir have ministered through song for Conventions, Inaugurations and Ceremonial Events. He is a national recording artist, multi-award winning choir director, songwriter and musician. Bishop Smith has released three national recordings: “He’s Able” (1997); “Waiting on God” (1999); and “Untold Story” (2001). After much thought and prayer, Bishop Smith decided to once again pursue his passion in music. This year he announced that he would come out of retirement and begin directing the WOF Mass Choir, catapulting the music ministry of Wings of Faith Worldwide Ministries in a new direction; the Voices of Wings Choir. Under the direction of Bishop Dreyfus C. Smith, the Voices of Wings Choir has made a triumphant comeback. He is not only a great prognosticator of God’s Word, but also a great innovator in the world of enterprise. As a man with vision, his outreach ministry, Dreyfus C. Smith Ministries, is designed to reach the body of Christ by way of Television, Social Media and Live Stream. Currently, Bishop Smith and Wings of Faith Worldwide Ministries can be viewed on Live Stream every Sunday morning. The spiritual enhancement arm of DCSM allows the hosting of annual conferences, and a plethora of seminars, and workshops. The business enhancement arm of DCSM sponsors network opportunities for Bishop Smith to share with future entrepreneurs and current business owners on the fundamentals of starting and maintaining your own business. Adding to his already extensive arsenal, he has self-published a business journal titled; “Now Faith Business Journal…The Seven P’s to Starting Your Own Business.” While achieving great accomplishments in his life, God is not through with him yet. 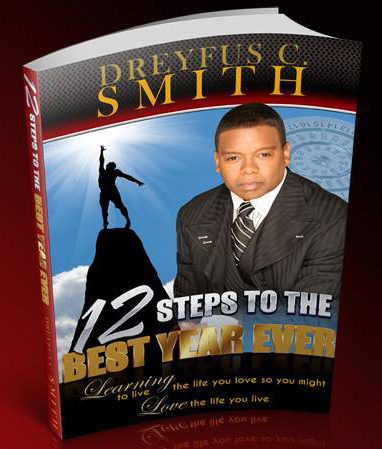 Bishop Smith has published and introduced his first motivational book entitled “12 Steps to the Best Year Ever” which was released in January 2014; and his upcoming new release book, entitled “My Prayer for You” is scheduled for release this year!